Gameplay-facilitating trainer for God Eater 3 . This trainer may not necessarily work with your copy of the game. 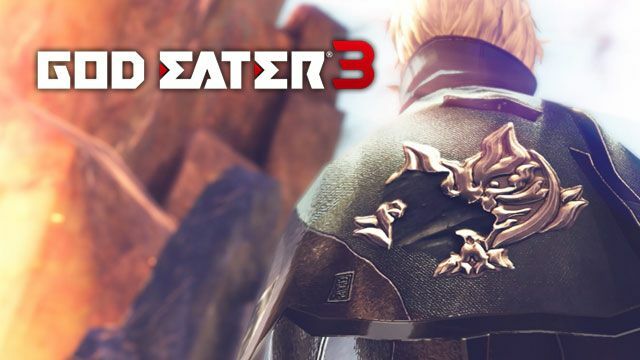 Available here: God Eater 3 Trainer. Massive Money/Credits: Toggle on then enter the Terminal, then click MEMBERS Allies/Personal Abilities Menu Item and the value is changed. Massive GAP Global AP: Toggle on then enter the Terminal, then click MEMBERS Allies/Personal Abilities Menu Item and the value is changed. Massive Character AP at Loadout: Toggle on then enter the Terminal, then click MEMBERS Allies/Personal Abilities Menu Item and the value is changed. Unlimited Player HP: Toggle on while in combat missions to try and keep at 100%. Unlimited Player OP: Toggle on while in combat missions to try and keep at 100%. Unlimited Player ST: Toggle on while in combat missions to try and keep at 100%. Unlimited Team Health: Toggle on while in combat missions to try and keep every party member HP at 100%. Reset Mission Clock: Toggle on during combat missions to reset the clock and lock it at full time remaining. Best to leave this off until the mission starts and you have gotten into the mission and/or dialogue a little bit. Unlimited Combat Items: Toggle on and when you use a combat item such as a Restore Pill or Ampoule, they don't decrease and you likely have the max of them. Easy Craft: Toggle on then enter the Terminal and click on the Crafting Menu. Even if you do not have the required components, you can likely still craft the weapon or item. You WILL need required Blueprints for the items to be able to be shown in the menu and their recipe shown, however. Unlimited Bite Burst Meter: Toggle on while in combat, then when this meter is activated, it's locked. Unlimited Engage Meter: Toggle on while in combat, then when this meter is activated, it's locked. Super Damage: Toggle on and when your team attacks something, most enemies will die very quickly. Freeze Return To Ship Timer: Toggle this on once the mission is over and the timer to return to the ship is visible. This will allow you more time to explore and pick up items on the map. Super Game Speed: Toggle on to speed up the game so you can move to locations faster. Avoid Enemy Attacks: Toggle on and when most enemies attack, both you and your team are impervious and the attack will not cause damage or knock you down. It's as if you are a ghost.